I would go back to a time when I only had 1 child and enjoy the experience properly. Now I have 4 children, every little outing seems an effort and sometimes we spend longer getting ready than we are out for. I only now really appreciate how easy it is to just take 1 or 2 children out and about. I really regret not going out to baby groups and walking lots with the pushchair. I almost hid myself away as I think I was a bit scared. Scared of what would happen if my baby screamed the place down, had a poosplosion or wouldn’t nap while I was out. I missed out on forming lots of Mummy friendships as I never went to groups. I lost touch with most of the other Mums from my NCT group as I was too frightened to take my baby out. Now I think nothing of taking the babies out to lunch with us and taking them to a friends house seems a doddle! I bundle the twins in the pushchair and head out for a walk to the shops or a coffee on nursery days. It’s amazing how much your perception of these tasks changes as you have more children. When you have your first baby, the two of you are learning from day one. You change your entire life to fit around this small person. Everything is a new experience and a mental barrier to overcome. I obviously failed to do this as quickly as others but, now I have 4 children, nothing fazes me. I have to get on with my life and the new babies have had to fit around it. I do however reserve the right to change my views on this when all 4 of my children are walking! I also miss the ability to have an afternoon nap! I never used to take advantage of this when B was born – how foolish of me! 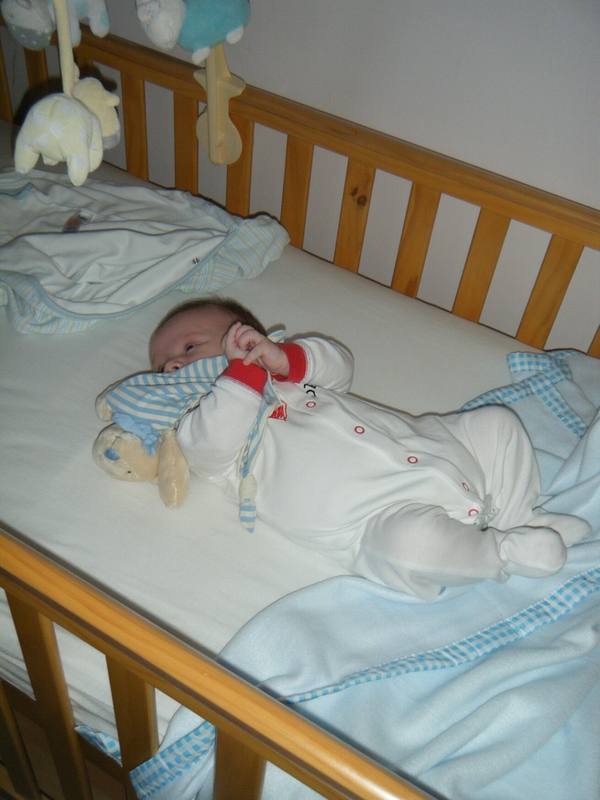 O never slept as a baby so when he did, if it by some miracle coincided with B having a nap, I would spend the time tidying the bomb site that was our house. Now, I’m so exhausted that a nap most days would be amazing! But, if I did happen to nod off on the sofa after a particularly carb heavy lunch (and trust me it has happened), I’m usually awoken by a boy launching themself at me off the arm of the sofa! They use me as a crash mat. I didn’t realise that was in the job description. I do not for one second regret having any of my beautiful babies but, I wish I had done things differently. Hindsight is a wonderful thing. If you are a first time Mummy reading this, my biggest advice would be, don’t be afraid to do anything or go anywhere with your baby. Enjoy every second of having this amazing little person. Time passes too quickly and before you know it, you have more babies and then everything is an effort! If you could turn back time, what would you do different with your children? That’s a great one. I’m terrible for saying no to save time. What is it with Mummy guilt? It strikes at any time and there is no way to avoid it. If only there was a perfect way to parent!